Last week, I blogged about poet Emily Dickinson’s lesser known passion— cooking and baking. I was able to track down one of her actual recipes, a Coconut Cake– or, as Emily spelled it, Cocoanut Cake. Tomorrow (December 10) is Emily’s birthday, so I decided to celebrate the life of this brilliant American poet by baking her Coconut Cake. Emily’s hand written recipe is being shown at The Poet’s House in New York City as part of their Emily Dickinson Exhibition, which runs through January 28, 2012. The exhibit is described as “a once-in-a-lifetime opportunity to see a rare selection of original manuscripts, letters, fragments, rare books, archival materials and even a recipe for coconut cake belonging to Emily Dickinson.” I’m hoping to stop by and see the exhibit on my next trip to New York. 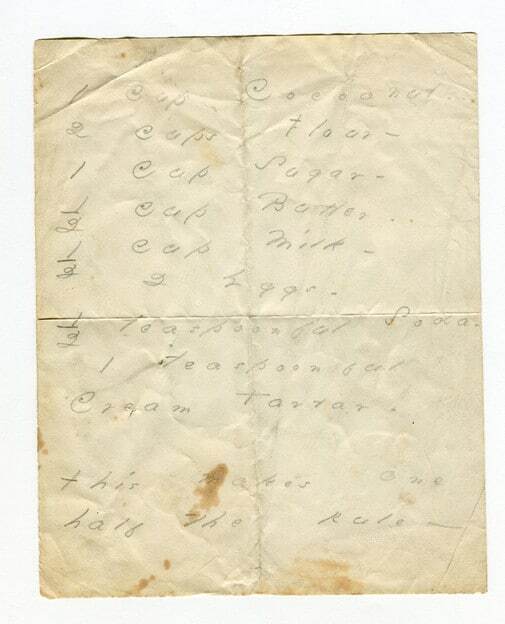 Here is a scan of the actual recipe (or, as recipes were called in Emily’s time, the “receipt”). It’s a bit hard to read, so I’ve transcribed it below. No baking instructions are given, but anybody with a basic understanding of baking techniques should have no trouble with this recipe. 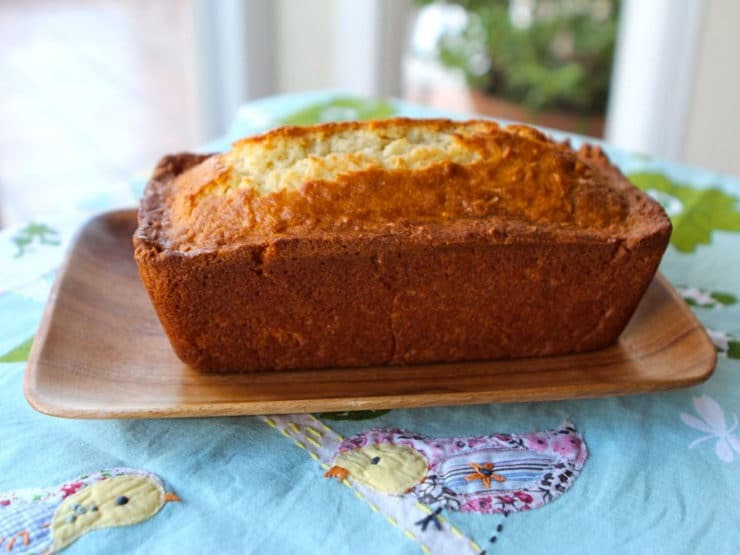 It’s a simple cake or “quick bread,” meaning it uses baking powder as a leavening agent. The mixture of cream of tartar and baking soda produces baking powder; you can combine the cream of tartar and soda as written, or simply substitute 1 1/2 tsp baking powder. I’ve written out detailed instructions for baking the cake below so you can try it yourself. 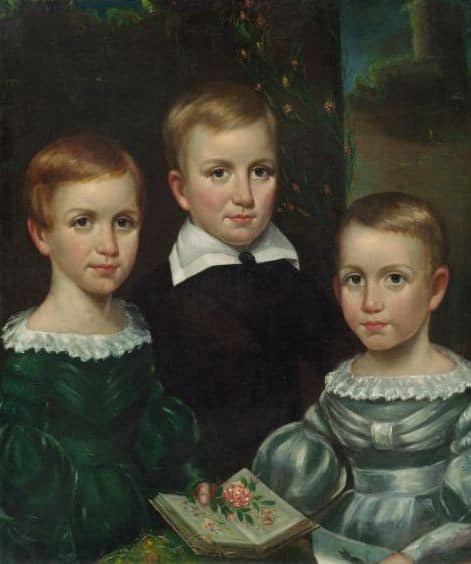 The Dickinson Children, painted by Otis Allen Bullard ca 1840. From the Dickinson Room at Houghton Library, Harvard University. Emily is on the left– this is one of the few surviving images of the poet. I made this recipe the old fashioned way, beating the butter by hand and using an antique flour sifter to get into the spirit of the project. I stopped short of grating the coconut by hand. Grating fresh coconut is time consuming, so I used dried grated coconut instead of fresh. If you want to take that shortcut too, soak the dried coconut in warm water until soft and drain well before integrating it into the batter. You can also use soft sweetened baker’s coconut, if you wish– this cake is not overly sweet, so the extra sweetness from the baker’s coconut wouldn’t hurt. Next time I bake this, I’ll probably use a large loaf pan. The medium loaf pan (8 inches) compressed the cake batter a bit, which made it billow up on top. Not a big deal, though (in fact, the effect is kind of pretty). The texture is not light or airy, it’s more like a dense pound cake. Using cake flour instead of regular flour would lighten up the texture a bit. My favorite part of this cake is the lovely golden crust, which gives it enough structure for dunking in coffee or tea. You might want to bake one yourself and give it to a literary friend as a holiday gift! Thank you to Stephen and Christina at Poet’s House for their help with this post. 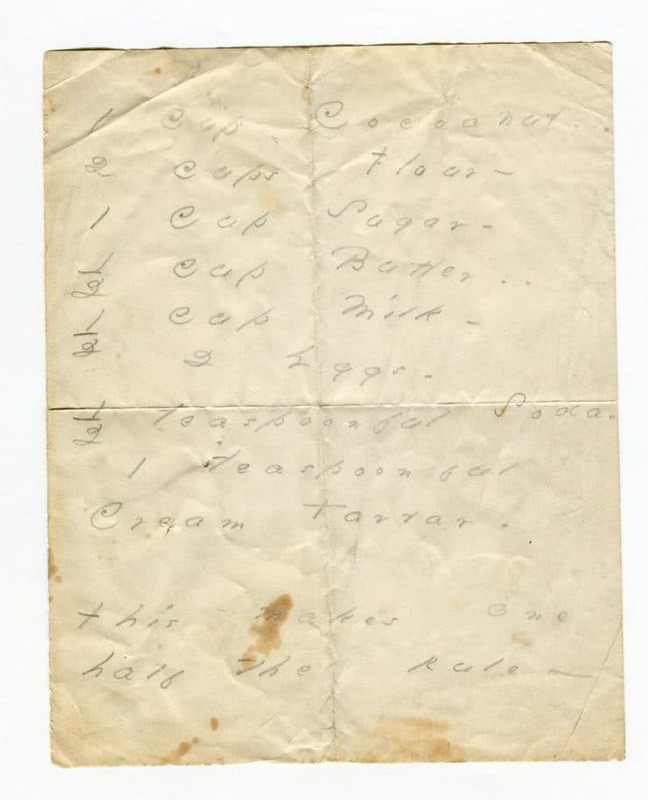 Learn to make Emily Dickinson's recipe for Coconut Cake from an antique recipe in Emily's handwriting. Preheat your oven to 325 degrees F. In a large mixing bowl, sift together the flour and cream of tartar + baking soda OR baking powder. I used my antique sifter to get in the "Emily Dickinson" mood. 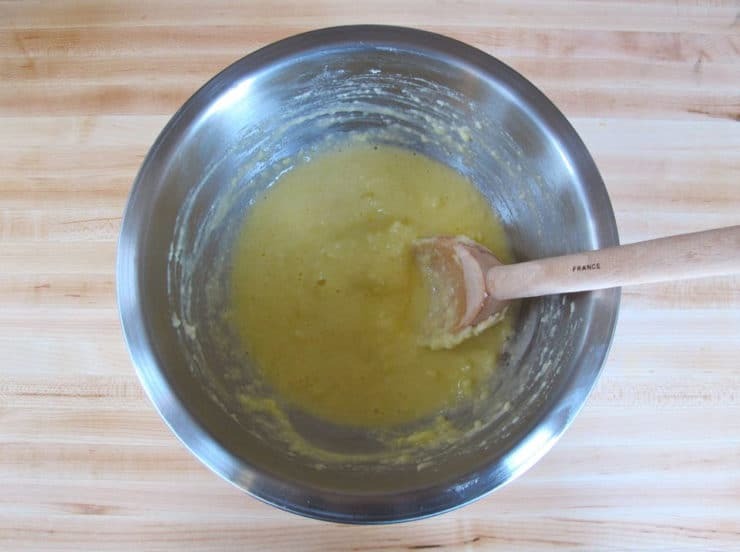 In a medium mixing bowl, cream the butter and sugar together till the mixture is light and fluffy, and the sugar is well incorporated into the butter. I did this by hand, the old fashioned way, like Emily Dickinson would have. It took several minutes. You can do it much faster with an electric mixer. Mix in the eggs, then the milk. Add liquid ingredients to dry and stir till just incorporated. 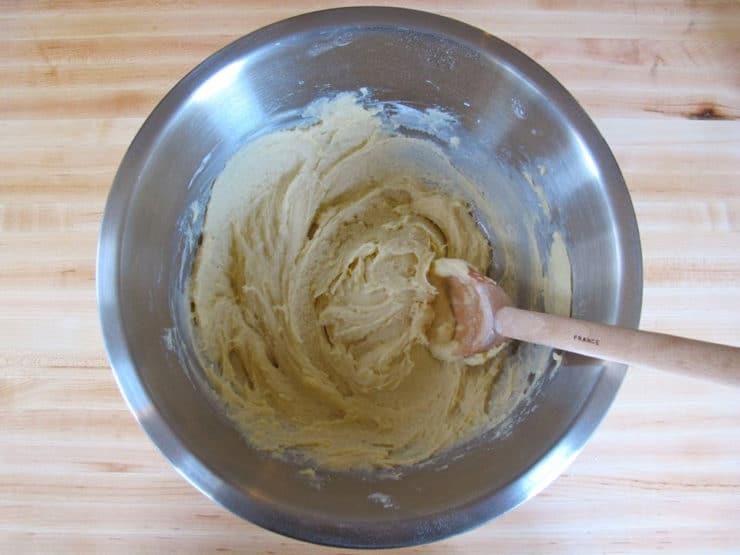 A thick batter will form. Do not overmix. Fold in the shredded coconut. If your shredded coconut is dry (not fresh), rehydrate it with a little warm water and drain well before mixing it into the batter. Again, don't overmix. 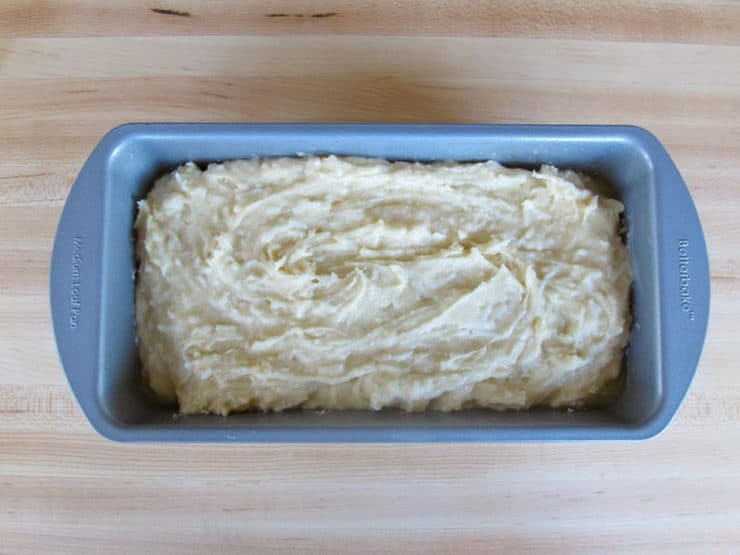 Spread the batter into a small loaf pan. Bake the cake for 50-60 minutes on the middle rack of your oven till cooked through and golden brown around the edges. Test with a skewer or toothpick for doneness in a few places-- if the toothpick comes out clean (no wet batter sticking to it), it's done. The cake is not overly sweet, which was perfect for me (I don't like my desserts too sweet). If you want to sweeten it up, use a bit more sugar, or use sweetened coconut instead of regular coconut. Enjoy! Hi Tori, I bake this cake yesterday, it was very simple and easy to make, my Family loved it. It’s like a tea time cake. We enjoyed it, thank you for the recipe and the details about it. I feel like i must have done something wrong because my coconut cake ended up tasting exactly like corn bread! I followed the recipe precisely with the exception of not sifting the dry ingredients as I couldn’t find my sifter, and I even used a fresh coconut from a farmer’s market. (I live in California) don’t get me wrong – I love corn bread, but I was looking forward to a light and airy dessert treat so I was pretty disappointed with the outcome. Hi Johanna– as the blog states, this is not a “cake”-like texture, it’s a quick bread. 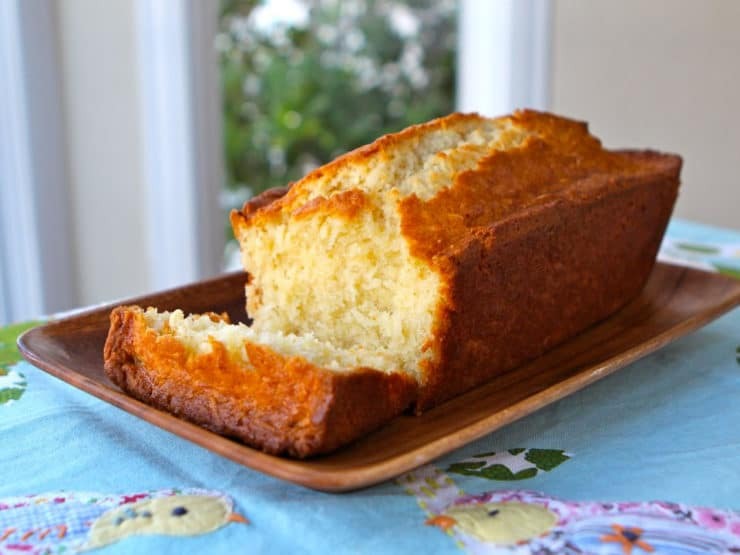 If you had read the blog before making the recipe you would have seen the following: “The texture is not light or airy, it’s more like a dense pound cake.” Sorry you didn’t enjoy it! You show how way we made the recipe and you show it very clear and step by step. It’s looks like beautiful and delicious. I want to make it and enjoy next weekend. Thank you. I was facinated by the history of this coconut cake and decided to make it today. The flavor was lovely but rather dry. I checked it after 50 minutes and it was quite loose so I went for 60 minutes – maybe I should have checked it after 55 minutes.😉 Does this cake naturally tend to be on the dry side? Tastewise, I used salted butter and sweetened coconut which is more to my personal liking and generally I undercook most cakes to attain xtra moistness. Do you think substituting sour cream in place of the milk would moisten this cake ? Thank you for sharing this recipe Tori, as it was nice stepping back in time. Hi Lisa– yes, this cake is naturally a bit drier. It’s a historical recipe, so slightly different than a cake to suit modern tastes. 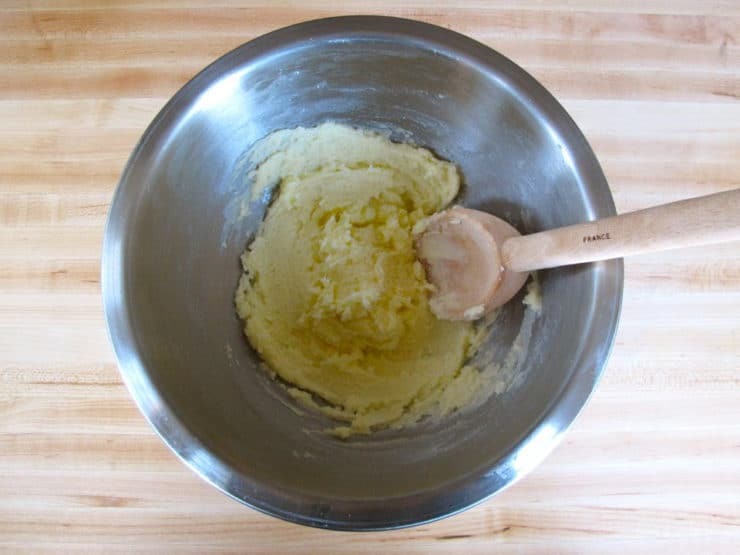 Butter tends to create a drier crumb, so if you want to try it again I would do half butter, half canola oil (or some other baking oil). You could add a little sour cream to the batter as well, but I wouldn’t want to recommend an amount without testing. If you find a combination that works for you please report back! This cake looks absolutely delicious! I do have a question before I try it …..I happen to have a bag of desiccated coconut and I really don’t know what to do with it…….It is unsweetened and finely ground. Could I use it, do you think? Would I still use the 1 cup? Would love to serve it to neighbors coming for coffee next week. Hope you can help me. Thank you for acquiring Emily’s recipe! Hi Judy, Tori’s assistant Ashley here. Yes, this would be fine to use. If your coconut is dry (not fresh), rehydrate it with a little warm water and drain well before mixing it into the batter. You would still use the same amount. Hope this helps! Could the word “Cocoanut” possibly mean cocoa rather than coconut? Hi Dima, Tori’s assistant Ashley here. I don’t think so. “Cocoanut” is just a variant spelling of “coconut”. I love your tablecloth! Adorable! This is a wonderful loaf with a beautiful crumb. I used the powder instead of the soda & cream of tartar; substituted the milk with unsweetened coconut milk and added a bit of lemon zest. Definitely a recipe I’ll be returning to again and again! Thanks for the recipe Tori. This bread is fabulous, and so easy to make. Thank-you for sharing? the recipe. I am in Mexico and also have this loaf in my oven, having used freshly cut coconuts. I think it will be a favorite… I have squeezed a fresh mandarin orange with some powdered sugar to drizzle over when it comes out…. Can I use Vegan butter instead? Like Earth Balance? Hi Mark, you can use Earth Balance buttery sticks (not the tub kind, look for the sticks in the margarine aisle). Best cake in the world!! So so good! I was drawn to the recipe since I share a birthday with Ms. Dickinson. I’ve made it several times (I use a cake pan instead of a loaf pan) and everyone adores it. Most recently, I made it to use at a lecture on Victorian tea for a group of teens who were learning about the Civil War era. They loved it and asked for the recipe! Thank you for sharing this gem! Oh, my gosh, I share her birthday, too, and that’s why I studied her, and found this recipe! Love it, and the history lesson, by the way. I substituted organic coconut oil for the butter and water with some vanilla (since I didn’t have any coconut water that I wanted to use) for the milk and it tastes great – especially along with fresh organic blueberries. I had freshly grated coconut left, and imagine my excitement when I found your recipe. Made the cake today for tea fellowship in church. Doubled it and baked it for abt 45mins in a 9×13 rect pan. It was a hit! So super yummy. Not a few came to ask for the recipe! Thanks for sharing it. Am so bookmarking it. Will be baking it again definitely! my favourite cafe in my neighbourhood sells this cake by the slice and I’m addicted to it . I buy an 2 extra pieces when I go there to take home for my husband and I to have later with a cup of earl grey tea. I do this often enough that I asked about the recipe as was told of its origin. I do have all of the ingredients and can indeed bake so I’m going to do just that!!!! !It’s just the best ever! My cake is in the oven at this moment and looking good so far. Thank you for the recipe. Glad to hear it Monti! I love the way the kitchen smells while this cake is baking, so homey. Mine has just gone into the oven, looking great so far. Thank you. What a joy to find this recipe! I adore Emily Dickinson, and she is one of the major reasons I began my own website. I have just invited my visitors to bake a cake, have an Emily party with everyone wearing white and reading poetry. What fun! Thank you so much for this recipe! I tried this case and sadly it didn’t turn out the way it should have. i used 1 1/2 tsps baking powder instead of the soda and cream of tartar. my cake pan was 8 x 4 inches. the cake was light brown on the bottom and the sides but completely white on top. i baked it for about 55 minutes and the toothpick came out clean. i don’t know what i did wrong. please help. i don’t know what i did wrong. please help. Hi Kaveri, I’m sorry, I’m not sure but it sounds like you did everything right. Other readers have had a good experience with the recipe. Wish I knew what went wrong! Sorry I can’t be of more help. I made this once with gluten free flour mix, coconut milk and half butter & the other half coconut oil. I also avoided sugar, used less milk & honey & maple syrup to sweeten. It was delicious!! I am going to re-make it for my birthday. Thanks for this awesome recipe & website! I have been searching for a perfect coconut cake recipe, and must say, this is it! I tried this cake recipe and only alteration I did was, instead of plain milk I used unsweetened coconut milk, it was so dense, moist and delicious! Thank you so much for sharing this, and really appreciate all your hard work. I love your website! 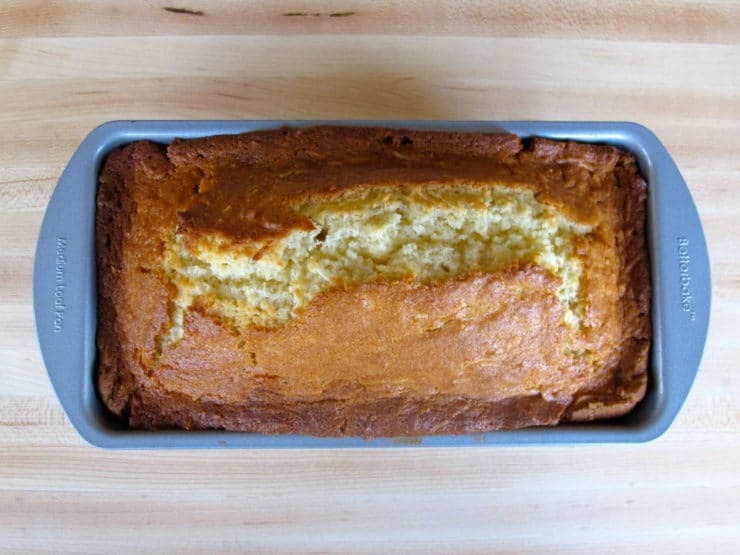 As a new Emily Dickinson fan and avid baker, I am delighted to come across your beautifully researched, written, and photographed post on her cake recipe!! Thank you so much–Bravo!! Awesome receipt. :-). I actually have cocoanut flour, cocoanut sugar and shreded cocoanut. Also will replace butter with cocoanut oil. I’m a cocoanut freak! :-). The cocoanut palm tree is called the tree of life and it’s has lots of nourishing properties. I made this for some friends, now I’m making them 2 loaves at a time. They – and I – love that it’s not too sweet, and we also enjoy finding things to pair it with: coffee, tea, milk, ice cream. I had someone suggest making a bread pudding out of it – imagine that! People who say they don’t like coconut seem to love this. The recipe doesn’t tell you that you also get a sense of accomplishment – it takes on meaning for people when you make them something from scratch. I use King Arthur all-purpose flour, sweetened coconut shreds in a 7.5 oz package (that’s 2 2/3 cups – I eyeball half the package for each loaf), and I also use Sugar in the Raw, an unrefined sugar that has a faint molasses taste. 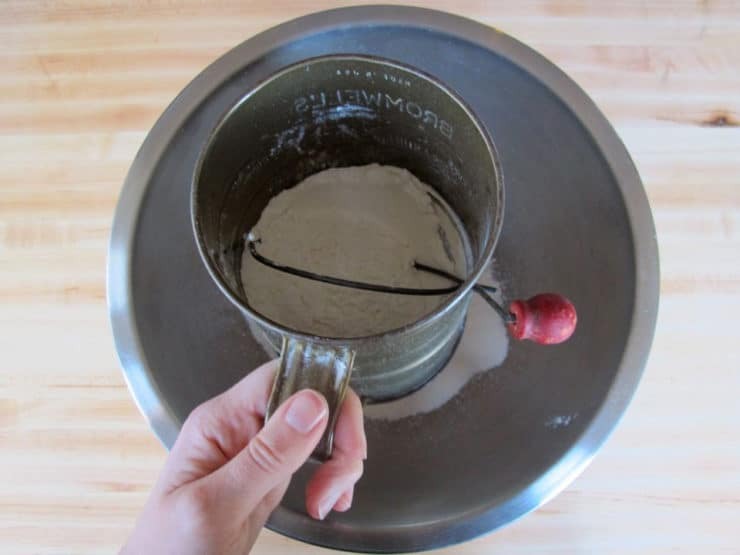 I don’t have my grandmother’s sifter, but I do have a large strainer that works just fine for sifting the flour (I use it for making gravy, usually – works like magic). This is so easy – less than 15 minutes to prep and 60 minutes to bake. I really recommend this, to anybody. I own a shop in Ringgold,GA called Mizz Kim’s Creations. I make bath and body products and other things to lift the spirit. I love Emily Dickinson and actually portrayed her in the one woman show The Belle of Amherst while in grad school. So, to celebrate her birthday, next week I will be serving this cake. I have also made a lotion in her honor named ,simply, “Emily”. Thank you for posting this recipe and information.! You can get freshly grated coconut FROZEN, no sugar added, no preservatives added, no soaking necessary. It’s frozen at the source, so it is the next best thing to grating a fresh coconut. Bring it to room temperature before you start making the cake. I love to cook and especially bake. I was taught by my maternal grandmother. I will definately try this recipe. I’ve got one those sifter’s–got it from a second hand store and I love it!! Looks very good. Want to make it. Do you think I could use coconut milk instead of sweet milk? Might be even a more coconut taste if I did. Adore Emily Dickkenson and I love coconut cakes. Am baking this to go with a mystery I am reading today about Emily Dickenson and her family. A perfect compliment. Thank you this will be a new high tea favorite in our house. Divine! I would like to make this bread. Could you clarify if this is sweetened or unsweetened coconut in the ingredients list. I am making this bread for my 6th grade class because I am giving a presentation on Emily Dickinson. But, I used salted butter – and forgot to soak my coconut (which was sweetened). Hopefully, the salt and sugar will balance each other out. I will let you know how it turns out. Hi Jul, great question. Based on receipts and records from Emily’s local general store, historians have been able to determine that she was in fact purchasing imported coconut fruit (not cocoa). I’m not sure if the recipe would work well with cocoa powder, but it wouldn’t hurt to try! Love the plate it is on. Where did you get it? Can’t wait to try this. FYI, Susan Dickinson was not Emily’s sister. She was Emily’s beloved, who broke Emily’s heart by marrying her brother Austin. Dickinson’s famous “She Poems” (love poems to a woman, like “Ourselves were wed one summer”) are said to be addressed to Susan. In the painting you posted, the siblings are Austin and Lavinia Dickinson. Thank you Lisa! I have corrected the post. Thank you for the wonderful article and beautiful cake recipe. The accompanying photos were a great addition and I can’t wait to bake this coconutty deliciousness! I may just make a chocolate glaze to drizzle on each slice prior to serving. Tori this is fabulous. The actual recipe from Emily herself, truly cool. Did you get to go see it and others in person? I would love to go and wander about looking at all her things. I have to say this one speaks to me. I am a huge Emily fan and I also love coconut. So this one has to get bookmarked and made. Hi Lauren– sweetened coconut is already soft, so no, you don’t need to soak it. And yes, I did grease the pan lightly with nonstick cooking spray. Enjoy! Oh no! The loaf is in the oven right now and I did not grease my loaf tin. T-T (first time ever to bake). But this recipe is fairly easy to follow and the fact that Emily followed this recipe is a plus for bookworms like me! I hope it comes out well. I hope it doesnt stick to the pan! Thanks for the “receipt”! hi. if i use sweetened coconut, should i soak that, too? thanks – so excited to make this! also, did you grease the pan? or grease-flour it? The cake looks so delicious and how wonderful that you made it the old-fashioned way! Very nicely done, Tori! Thanks! (especially your latest ones with the smoked paprika!) but this one nailed two of my biggest loves – literature and cooking, pure genius ! Keep on blogging ! Interesting that “recipe” used to be called “receipt”…in German, “Rezept” is how you say “recipe” but a receipt is a “Quittung”. Two related languages separated by a(n English) channel. Looking foward to baking the cake. Thanks! This cake came out looking so moist and delicious. Love your antique ‘sifter’. I love recipes with a history- nicely done. I recently saw coconut spelled cocoanut too! I thought it was spelled wrong! This cake looks pretty, I like that it fluffed up over the pan. The fact that it is not overly sweet is perfect for me. I never eat icing and usually don’t put it on my cakes but this with a cup of cardamon coffee in the morning sounds wonderful. I might even read one of her poems to the kids while we enjoy it. Im going to try this- I have coconut to use up!!! thanks for another great recipe!!!!! I love coconut and this cake looks wonderful…. what a cool post. I will try this recipe, we have a lot of coconut in the Philippines. I liked you on FB because of a recipe you had, but I really enjoy your site. I am very fond of Emily Dickenson, thanks for the recipe and the information.